Nach einer etwas längeren Pause gibt es für die Rennsimulation Assetto Corsa ein neues Update. Dieses verbessert den Multiplayer, die KI im Einzelspielermodus, liefert den Classic Lotus Type 98T und vieles mehr. Außerdem blickt Kunos Simulazioni in die Zukunft und spricht über Version 1.0 von Assetto Corsa. Am Freitag wurde nach etwas Verzögerung wieder ein neues Update für die Rennsimulation Assetto Corsa veröffentlicht, dass sich verschiedenen Bereichen der Early Access Version annimmt und gleichzeitig neue Inhalte für die Spieler bereit hält. 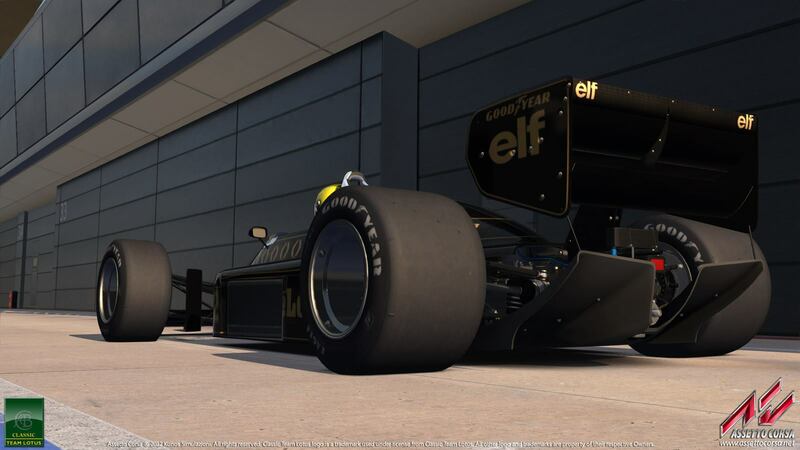 Vor einiger Zeit angekündigt, ist mit dem Update auf Assetto Corsa Version 0.21 endlich der Classic Team Lotus Type 98T erhältlich. 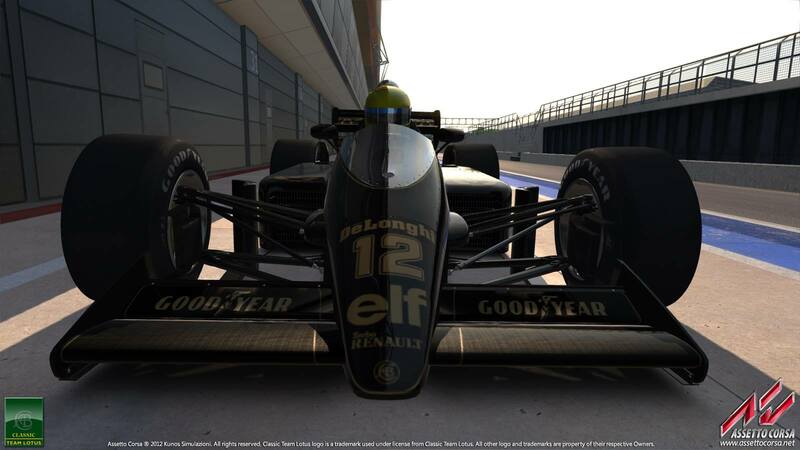 Damit der Formel 1 Rennwagen von Ayrton Senna auch entsprechend präsentiert wird, hat Kunos Simulazioni auch im Bereich der Grafik ein paar Verbesserungen vorgenommen, die mit der Aktualisierung implementiert wurden. Für alle Spieler, die intensiv den Multiplayer Modus von Assetto Corsa nutzen, gibt es ebenfalls gute Nachrichten. Auch am Mehrspielermodus wurden zahlreiche Verbesserungen vorgenommen und neue Features wie beispielsweise die nicht mehr notwendige Buchung einer Online-Session implementiert. Wen die Mehrspieleroptionen nicht interessieren, der darf sich über eine wieder verbesserte KI freuen. Mit der offiziellen Pressemeldung, welche wir direkt im Anschluss eingebunden haben, gewährt der Entwickler aus Italien noch weitere Einblicke in die Entwicklung von Assetto Corsa, spricht über die näher rückende Version 1.0, eine Aufstockung des Personals und vieles mehr. Etwas weiter unten haben wir schließlich noch das vollständige Changelog zu den letzten Aktualisierungen von Assetto Corsa. 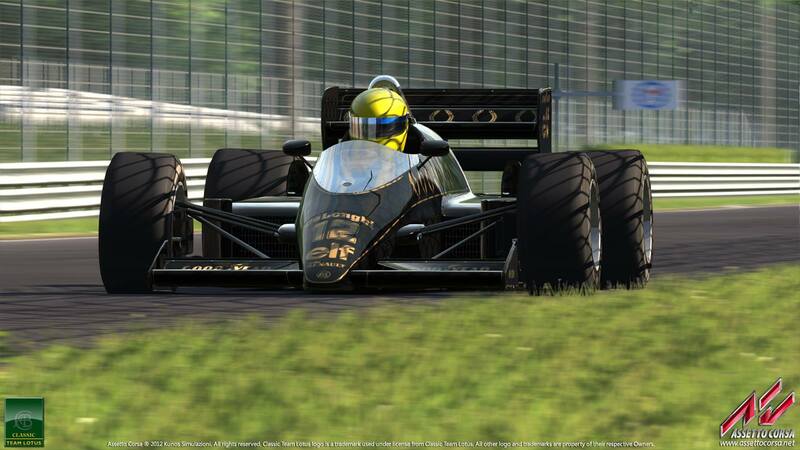 Finally this awesome car is available in the Assetto Corsa's garage: the legendary single seater with which Ayrton Senna has wrote some of the most beatiful pages in the motorsport history is waiting for you: Equipped with a small 1.5litres engine that represents the peak of the legendary turbo era, producing over 800bhp at race boost of around 3.5bar and more than 1200bhp at qualifying trim and over 5bar turbo boost! The downforce generated by the big wings and massive diffuser is even more than what modern F1 cars are capable of. Nevertheless, the extreme pitch sensitivity, stalling issues of the diffuser and unbelievably exponential power delivery of the twin turbo's, will challenge your skills not only to try and go fast with this car, but to actually keep it on track! Just a single lap will make you understand why there was just one man on the planet, capable of driving this monster close to its limits and on to pole position! We have worked very hard to improve the multiplayer routines: we have recognized that some of the limits of the previous netcode didn't allow gamers to get the maximum satisfaction, in particular when some gamers was performing high ping values. We are glad to announce that the netcode of the new version doesn't represent an improvement of the previous one, but it has been rewrote from scratch. The results of our private betatesting gave us an excellent feedback, and we are confident you will get a very improved multiplayer experience. Please notice that this new version, Assetto Corsa requires increased server bandwidth. Professional dedicated servers shouldn't have any problems at all, but users that wish to host session on their local home connection, should start with a very low client number and slowly raise the number until they find the limits of their connection. New multiplayer mode without booking request. The number of servers and users wishing to easily join pickup servers has caught us by surprise. We never immagined such a big success of casual multiplayer sessions with Assetto Corsa. As such, it was evident that the actual booking system, specifically thought for leagues and organized racing, was not doing a good job. We're introducing a new "pickup" multiplayer mode without booking sessions. The new "pickup" system, permits a server to be configured without booking sessions. An entry list must be configured properly, with only the cars that will be present in the server. At the current state the "pickup" system does not permit a specific skin selection from the client and we’re pretty sure that needs more testing in order to iron out possible bugs. Please help us by pointing out bugs at our official support forums. We are looking to have multiple hotfixes during the following week, in order to deliver a stable version for August vacations. The implementation of FMOD sound engine is going well: as soon as we will be able to provide a comparison video between the current version and the new build featuring FMOD, we'll show you the benefits of this upgrade: this step represents a huge challenge, because it requires a total conversion of old samples and the creation of new ones. Also, new effects will be included in order to create an immersive sound environment that can guarantee an immersive experience. We believe that the final result is well worth the investment requested. The modeling of Spa-Francorchamps has been almost completed: as you might know, this track will be included in the 1.0 version of Assetto Corsa (and this might suggest you that 1.0 version isn't too far). During this summer we will release some videos and pictures that will give you an idea of what to expect from this awesome and legendary circuit. Considering the time involved to schedule and manage the production of new contents, we are working in advance to provide you tons of new contents even after 1.0 release, with new car brands licensed and models to be unveiled soon. We recognize that trying to stay focused on the development of the main build and on some new activities, we haven't shared enough work in progress pics and videos for a while: don't worry, we'll surprise you again. Stay tuned on www.facebook.com/Assetto.corsa to discover all the incoming news! The Early Access program has been very successful, exceeding our expectations, and it's about to end. Thanks to this results, KUNOS Simulazioni has welcomed some additional programmers and graphics modellers that are already involved in current and future productions, thanks to their experience matured working on AAA games. We are grateful of the amazing response of the community towards Assetto Corsa and we try our best to give you the best racing game we are able to make. Thank you very much for your incredible support: see you on track! Dynamic wing controller now use setup value as initial angle value.